Team Building Ideas for Your Organization: What Works? What's 1994? Team Building Now: What Works, What’s 1994? When you think of team building ideas, what do you picture? Trust falls and nature walks? Group learning sessions that start with cheesy icebreakers? Although workplaces have continued to evolve, much about team building has stayed the same. Personally, I can’t stand the old, “say something interesting about yourself” cue. It reminds me of being the new kid in class and even now I worry that what I share won’t be interesting enough! The only thing I like less was the time that I had to read and discuss a book on effective management. It was awful. I wasn’t in a management role, my days were already full of other work to do, and the book was boring! Now, this isn’t to say that all team building activities are bad or a waste of time. I’ve enjoyed a few activities, such as monthly team breakfasts for our immediate team and occasional multi-department lunches. There’s something about sharing a meal together, in a relaxed setting, that is so refreshing. The most enjoyable activity I’ve participated in was a voluntary summer kickball league. It was a fun way to unwind from work and I got to connect with coworkers who I didn’t see every day. A recent survey showed that more than 2/3 of employees have been on “bad” teams. According to the Harvard Business Review, having a goal for your team building will make the session more productive. Having issues with creativity? I once played a fun game called “The Big Idea.” We were each given two cards, one with an adjective and one with a noun (think “green forks”). We had to make up a story about our new “product” and try to sell it to the rest of the group. The group listened to the sales pitches and voted on who had the best product. To address group dynamics, you could play the same game but have teams create their product concept and select representatives from the group to sell it. Want to improve how different teams work together? Have a job shadowing event where an employee from one department sits with a coworker in a different department for an hour or two to learn how that person’s role contributes to the company. Be sure to bring the teams together, sooner rather than later, to share what they learned. As an added bonus, team members will meet people they can rely on for future problem-solving. We’ve all played “two truths and a lie” — it’s overused and people are often so worried about what they’re going to say that they’re not listening to what their coworkers are sharing! Try something fresh, maybe an escape room or a cooking class, or update an old classic. Here’s an idea to revamp a game of “telephone:” make it so the original phrase is needed to solve a puzzle. We all want to be on the “winning” team; however, the usual goal of team building is a more cohesive group. Sometimes competition can have the opposite effect. Competitions, where employees work together towards a common goal, are often better and can have powerful results. One company I worked at did a Spartan Sprint, a grueling, muddy, obstacle course that encourages teamwork by helping each other over tough obstacles. We had a big group that we split into smaller teams and made sure there was a good mix in terms of fitness levels and departments. At the end of the nearly six-mile course, everyone was tired, caked in mud, and grinning ear to ear. People deepened existing friendships and made new ones. There was even a “bad” relationship that was improved when two guys who normally didn’t get along got separated from their groups and had to work together to finish the course. Now, there are times where pure competition is important. Nothing seems to spur sales teams on more than beating a fellow team or better yet, a competing business. The secret to being successful with competitive team building activities is to mix teams up so that any existing “us vs. them” or clique-ish dynamics aren’t reinforced. No matter what methods you choose for team building, it’s crucial to create an environment where employees feel free to speak up or make mistakes. The concept of psychological safety has become a trendy topic after Google announced it as the #1 key to team success, but how do you create it in your workplace? Forbes has these tips: Set standards for behavior and don’t tolerate jerks. Encourage employees to express their feelings. Try to be curious instead of defensive. Ask questions in a way that respects the other person’s thought process instead of pointing fingers. Be responsible for your actions and support employees in doing the same. For team building activities, choose things that will be comfortable for the majority of the group. Some boundary stretching is good, but you shouldn’t take a group of vegetarians to a steakhouse. Keep physical activities voluntary (not everyone can, or wants to, run a 5k) and make sure that people have other ways to interact with their team. Just say “NO” to trust falls. The most important part of successful team building is to keep at it. Team building isn’t just a tool for fixing problems, it’s part of the path to increased productivity, safety, creativity, even happier customers. You’re probably wondering how time away from regular work can make a team more productive. The answer is engagement. Team building increases engagement and teams with higher engagement are nearly twice as successful. According to Inc. Magazine, team building also helps create feelings of trust and better relationships, which lead to higher creativity. 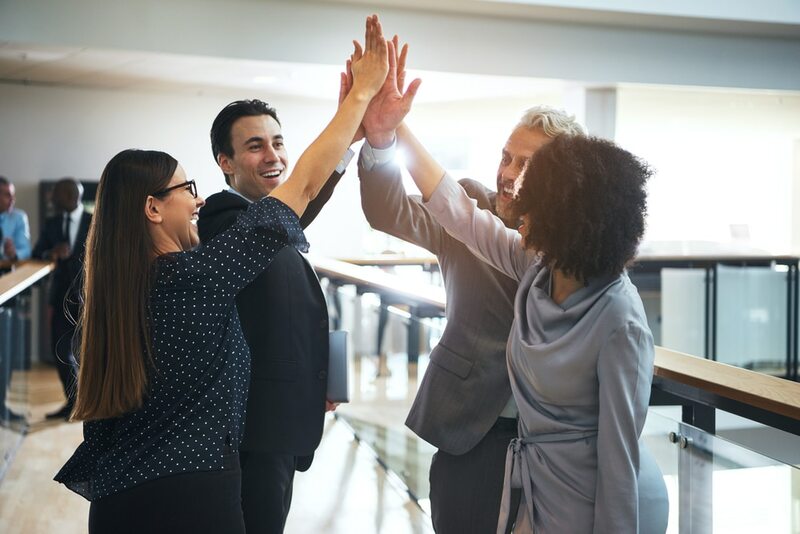 Find ways to keep team building goals relevant in daily work life — have regular check-ins with your team, incorporate your company’s values into your team goals, and have team building events even when everything is going well so the group can share that “winning” feeling. I plan on incorporating these tips into my next team building session. Will you?